£10/adult and kids 16 and under admitted free. 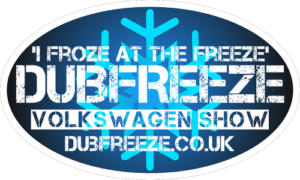 February 2019 will mark the 30th annual ‘Freeze VW Show at the Staffs. County Showgrounds, close to Stafford, along the Weston Road (A518).Bingley Hall, within the showground, plays host and protects us from the chill of winter. The grassed showgrounds are used for Saturday Camping, and day parking on Sunday. An overflow car park opens too on Sunday.Vehicle Sales and Club Vehicle Displays take place on hard and soft standing areas just outside the huge Bingley Hall, with Trade Stands, Swapmeet, Show Vehicles, Charity Auction and Show & Shine positioned inside the multi-level building.